A new exhibition devoted to postmodern British architecture is designed to spark a revival of interest in the movement. 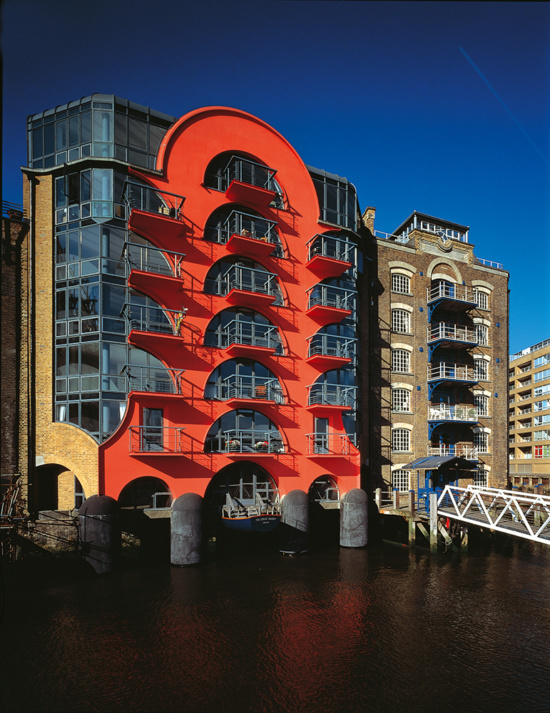 The exhibition titled The Return of the Past: Postmodernism in British Architecture is now showing at Sir John Soane’s Museum in London through August 26. The exhibition will display a selection of important works by some of the country’s most prominent architects such as Terry Farrell, CZWG, Sir Jeremy and Fenella Dixon, John Outram, and James Stirling. Their works emerged as part of the postmodern movement, which was a reaction against the confining modernist style used in designing many British towns and cities at the time. 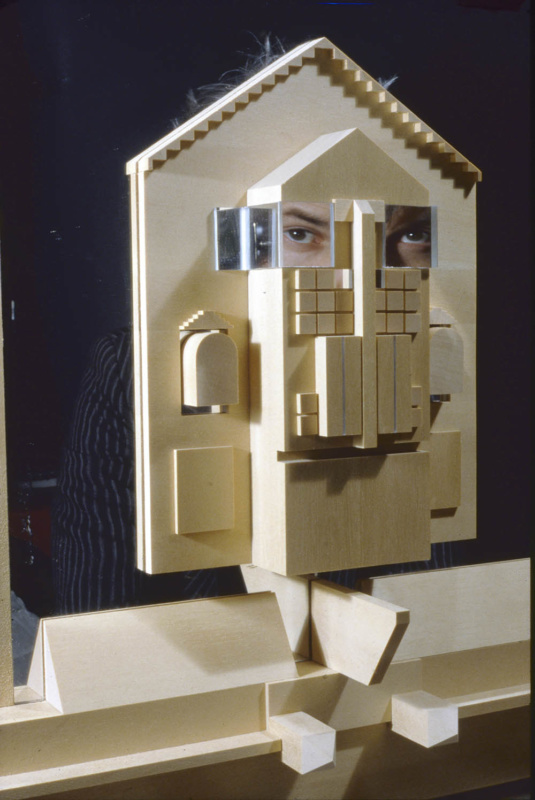 Postmodernist architecture generally emphasized the reconnection of architecture to the past through “ornament, materials, form or typology,” according to a statement from the Soane Museum. 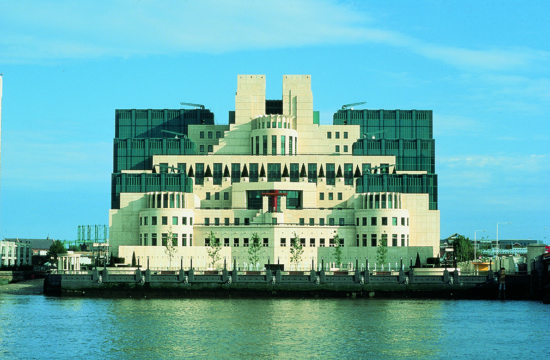 The SIS building designed by Terry Farrell houses the headquarters of Britain’s foreign intelligence agency Secret Intelligence Service MI6. Located on the bank of the River Thames in central London, the cascading building looks like a fortress, finished with a cream-colored facade and green-tinted windows. 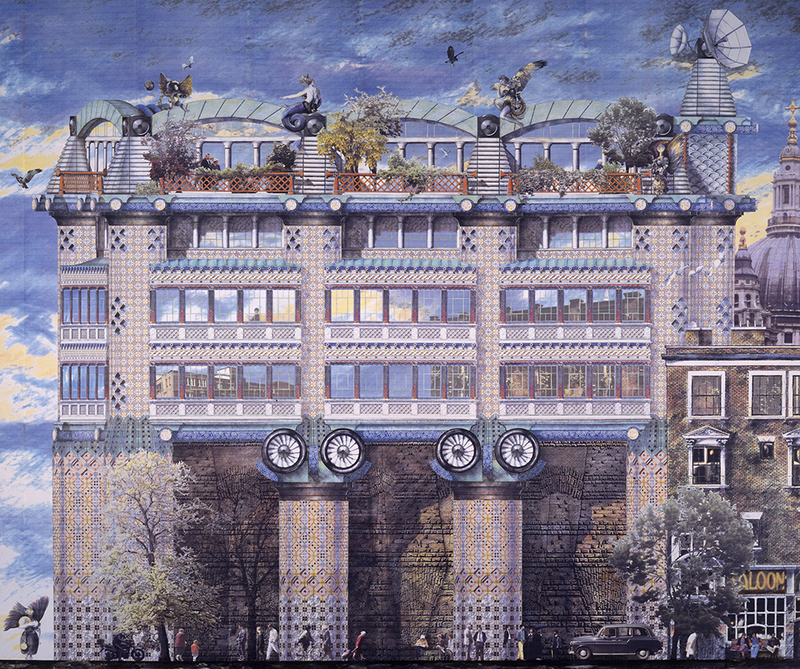 Another highlight is a project for 200 Queen Victoria Street for Rosehaugh-Stanhope Developers by John Outram. Although unbuilt, its signature image, featuring oversized Greco-Roman columns, chinoiserie posts, mosaic patterns, turbine flourishes, and fantastical additions make it a shining example of the movement’s style. CZWG’s work is also celebrated in the exhibition. 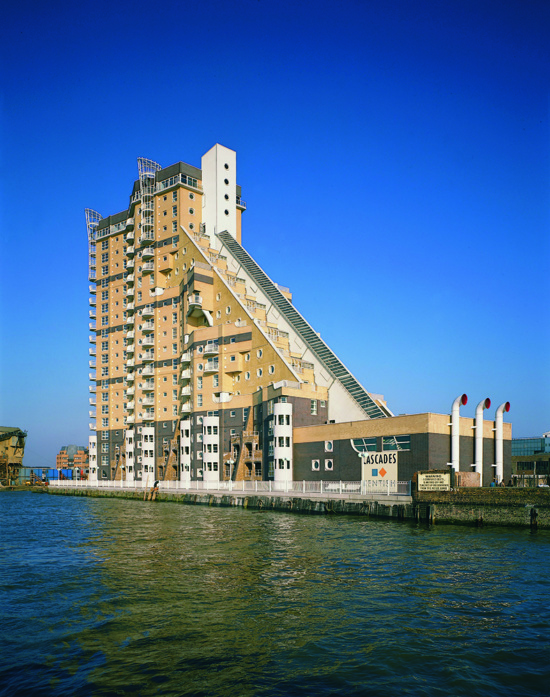 Cascades is a twenty-story apartment building located on the Isle of Dogs in London. Its design offered an alternative appearance to the high rise typology. According to CWZG, the “Pharaonic references” signify the high-reaching ambition of the construction, making it a postmodernist centerpiece. China Wharf is also a significant piece by the same firm. The building combines functionalism and aesthetics. The scalloped wall “is used to twist windows, both towards the rising sun and away from the neighbors directly across the courtyard,” according to the designers. As part of a regeneration scheme for the London Docklands, the building includes a pastiche of stylistic references such as naval and pagoda motifs. 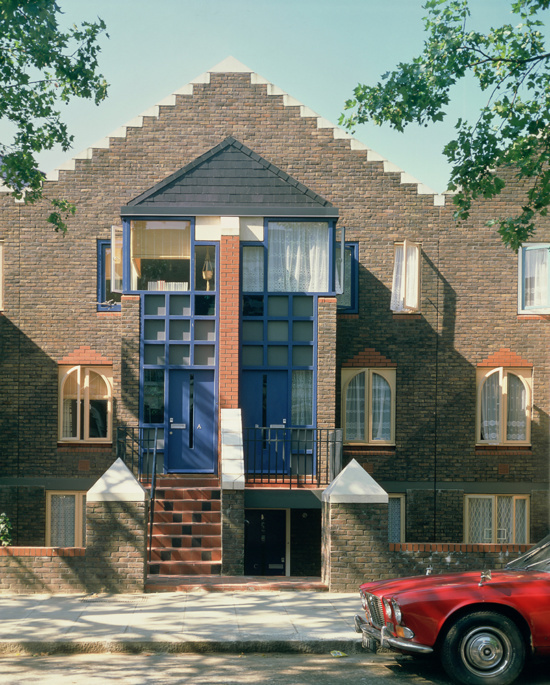 The organizers of the exhibition hope to renew attention to postmodern buildings in the U.K. Later this year, Historic England, the public body that looks after England’s historic environment, will launch a project to assess postmodern buildings for listing.